A most ominous storm was brewing over the East Coast. If Tim Burton directed a weather movie, it might look something like this eerie animation produced by University of Delaware researchers. The video shows how the Sandy plumped into a true monster storm between October 22 and October 31, using about 800 infrared images captured by the GOES satellite network. Computer specialist Matt Shatley, who monitors satellite feeds for the school's College of Earth, Ocean, and Environment, gave the footage a creepy, almost evil vibe with a monochromatic color scheme and cloud patterns reminiscent of ghost tendrils. (Here's NOAA's regular version.) 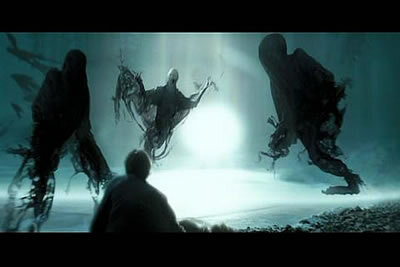 It's like one of those Dementors from Harry Potter descended on the East Coast to chew out its soul. Will Cities Be Ready for the Next Sandy?